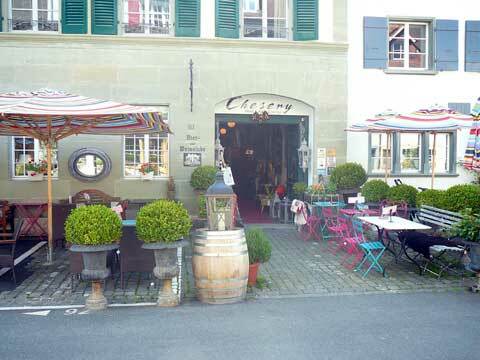 At the restaurant Chesery in Murten, you will have the chance to eat some simple Swiss and Italian in the middle of a cozy space decorated with antiques. With your meal you have the chance to drink some carefully chosen wine from all around the world, including a good selection of wine by the glass. Every Sunday, a brunch is proposed.